This 1000-piece jigsaw puzzle is designed by Nancy Wernersbach and measures 20" x 27"
Each 1000 piece puzzle is designed by Nancy Wernersbach and measures 20" x 27". Available in two piece count. This 1000-piece jigsaw puzzle is designed by Nancy Wernersbach and measures 20" x 27". Available in two-piece count. 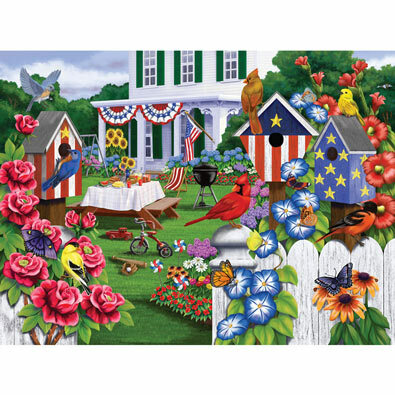 This 1000-piece jigsaw puzzle is designed by Nancy Wernersbach and measures 20" x 27".